ProSupps L Carnitine 1500 assists in the breakdown of energy stores in cells and plays an essential role in making fat available for muscle tissue – promoting muscular energy. 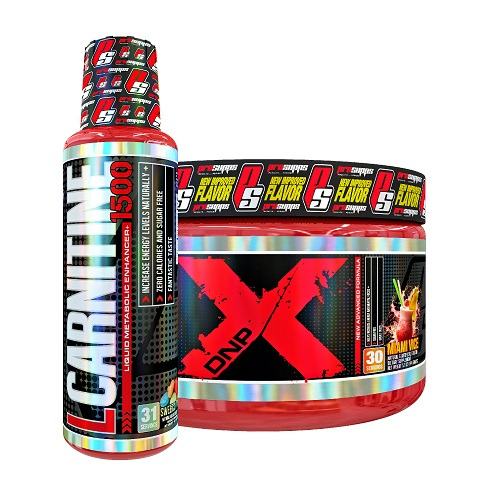 ProSupps L-Carnitine 1500 utilizes the long-chain fatty acids that are present in your body for energy and also supports a healthy environment for lean muscle growth and development, which leads to a strong, lean and defined physique. L-Carnitine is not a stimulant fat burner, and with the many other general health benefits L-Carnitine should be part of your supplement stack. DNPX is a powerful dietary supplement and is intended for use by healthy adults over the age of 18. Do not use any other caffeine products in combination with DNPX. As a Dietary Supplement Take one serving in the morning.